Information about St Ives Cornwall. News, reviews, photos, videos, weather forecast, travel, accommodation, what's on, restaurants, pubs, things to do, artists and galleries, shops and shopping, St Ives websites and blogs. St Ives Bus Company have continued to operate local services throughout Autumn and Winter - and will continue to do so all year round. 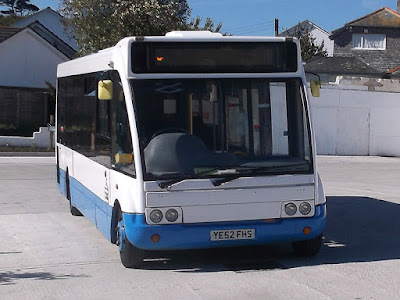 Their No.1 route has been particularly useful for locals - running from Penbeagle down to Royal Square and on to Carbis Bay Tesco. This route has now been extended through to Hayle - calling at Lelant - Hayle Foundry Square - Hayle Copperhouse - Hayle Retail Park. Times and stops through St Ives to Carbis Bay remain unchanged - the route simply continues on. Other routes and timetables will be updated in the Spring.